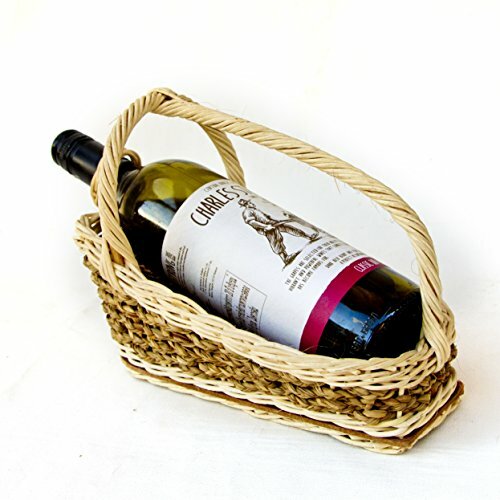 Natural rattan straw Wine Rack. Thai handmade. Hand Woven Eco Friendly Gift. Wine not included! Dimensions 26 cm X 12 cm X 17 cm height with handle Perfect choice of your rustically beautiful wine holder, that can stand on your house or other place. Color may be slightly different from the listing picture. Shipping worldwide by air mail with tracking number. Perfect choice of your rustically beautiful wine holder, that can stand on your house or other place. If you have any questions about this product by Thai, contact us by completing and submitting the form below. If you are looking for a specif part number, please include it with your message.